VIDEO: Which is better for young people - E46 M3 or 330i? VIDEO: Which is better for young people – E46 M3 or 330i? Unless you’re a trust-fund baby, the car you drive in your early 20’s isn’t a very expensive one. The reason for that is that in the average person’s early 20’s, they simply haven’t had enough time to save up money and buy a nice car. By 25, the average person has had about 1-2 cars and both were probably pretty cheap. So how do young enthusiasts get their hands on cool, European performance cars? They buy used ones. In this video from Car Throttle, we take a look at two old BMWs, from well over a decade ago, and see which is best for the average young person to drive. Those two cars are the E46 BMW M3 and the E46 BMW 330ci. Both cars come from the same family of BMW and are both very similar. The M3 is obviously the more powerful of the two, with 338 hp from its 3.2 liter I6 engine, while the 330ci makes only 231 from its 3.0 liter I6. The M3 can get from 0-60 mph in under five seconds, while the 330ci does the same sprint in just over six seconds. So clearly, the M3 is the better car. However, the M3 is also a lot more expensive than the 330ci and a lot more expensive to own and run everyday. In fact, Alex from Car Throttle got an insurance quote for the E46 M3, for a 25 year old teacher in London, and it costs over £3,000, which is more than the 330ci in the video costs to buy. While the 330ci is only around £3,000 to buy, the M3 is around £9,000, so that’s triple the price while also being much more expensive to insure. Not many 25 year olds have that kind of cash to buy a car with. 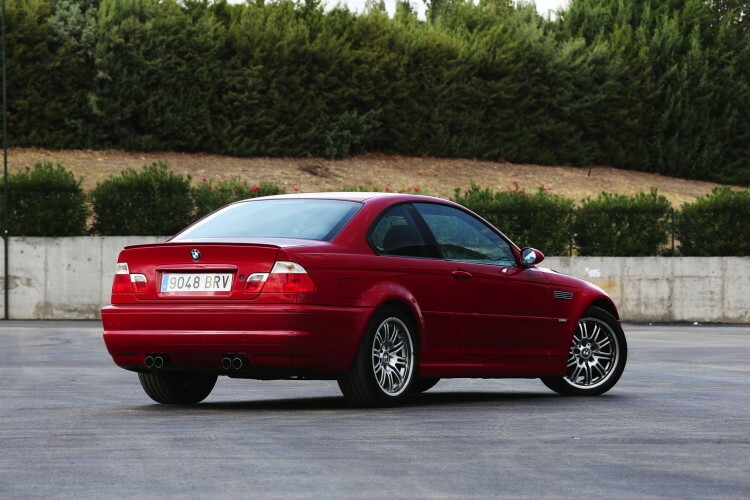 Alex’s presenter recommended a bank loan to buy something like the E46 M3, or maybe even something more expensive. However, Alex claims that that’s probably not a good idea, being that getting thousands of dollars into debt at that age is never smart and loan sharks will come after you if you can’t pay up. So, if a young enthusiast wants to buy a fun, good looking, rear-wheel drive sports coupe, the E46 BMW 330i is a great car to start out with in your early 20’s. It’s cheap, inexpensive to insure and will provide fantastic driving dynamics, good performance and a premium feel for years to come. Previous post Should the BMW 1 Series sedan come to the US?